Han’s vest is sort of tactical with a few pockets on it. I was concerned with overheating in my costume, so I made a simple black vest out of a black t-shirt. It’s easy and lightweight and can be made for any size. 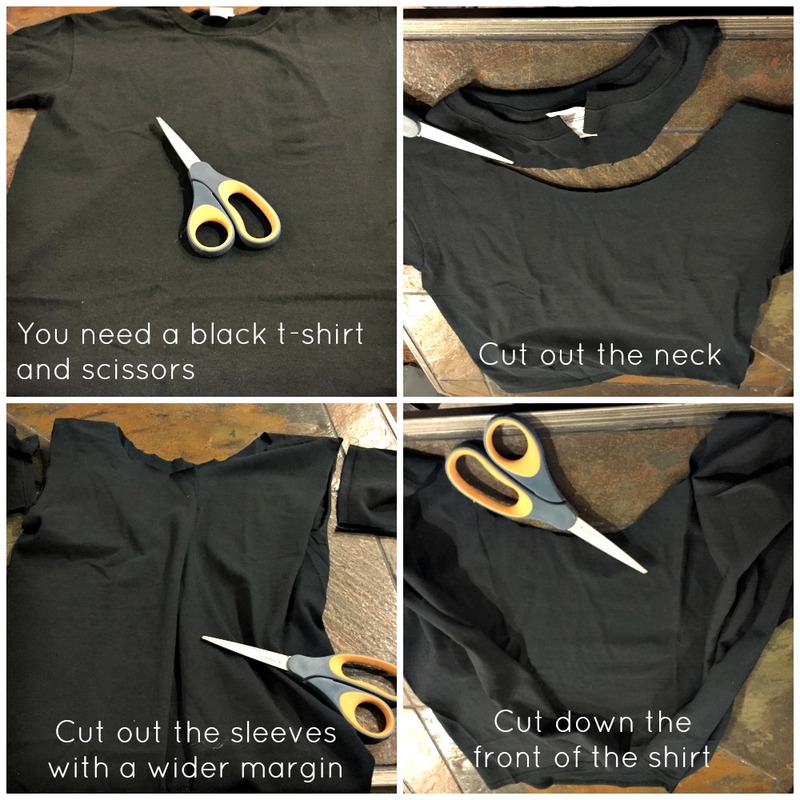 There are lots of tutorials online to make a vest out of t-shirt, I kept my design very simple. If you know a fishermen, you could always borrow a black fishing vest. It would look authentic with all the pockets and zippers on it. Personally I think it would add more bulk and weight than I’d want in a running costume though. It would work great for a Halloween costume though. I’m a pretty big fan of using duct tape on costumes, it’s the perfect way to make things temporary costumes. Originally I planned on borrowing a pair of blue capris, so I wanted to temporarily add the Corellian Bloodstripes to each pant leg. Duct tape and duct tape paint marker was the perfect answer. 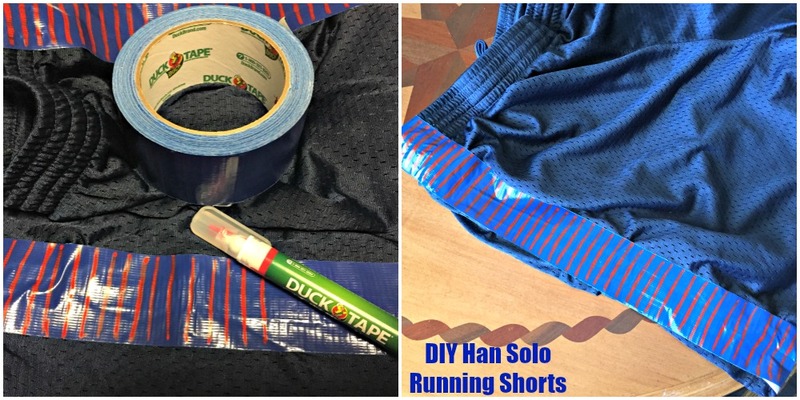 After adding a strip of duct tape down the side of each leg, carefully paint stripes using a duct tape marker. It’s no-sew and easy to redo if you don’t like your first attempt. I found the perfect shirt on Amazon. It’s “70’s” looking with a v-neck and collar. I have no idea what the odds are but it’s weirdly perfect for this costume. You could just go with an off white v-neck t-shirt too. Scissors, duct tape and Amazon took care of most of my costume. 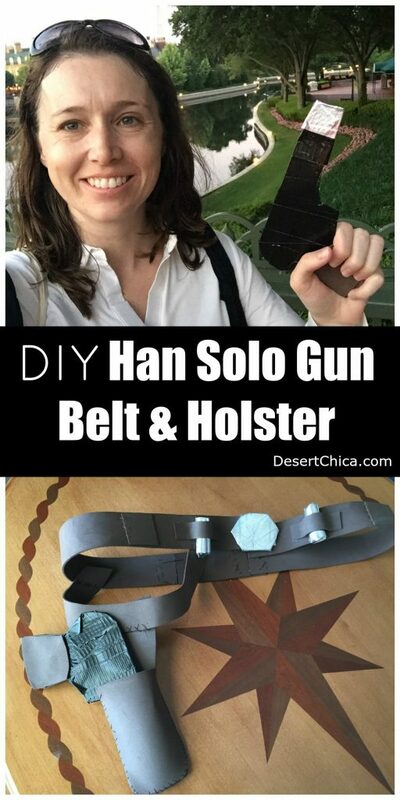 My Han Solo belt and gun holster required the most work. I detailed out how I made it in a separate post but it mostly just requires simple stitching, a hot glue gun and brown craft foam. The costume was easy to put together and really fun to wear with my friends. 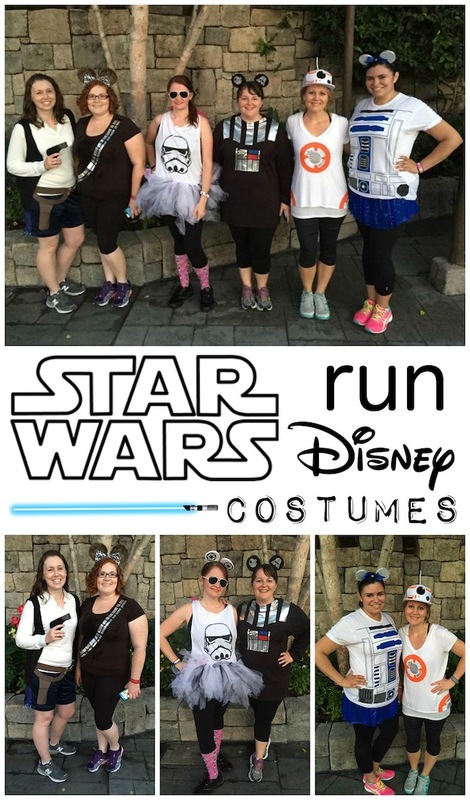 Don’t miss the whole Star Wars Run Disney crew! Ready to plan a RunDisney trip? Let Get Away Today help! 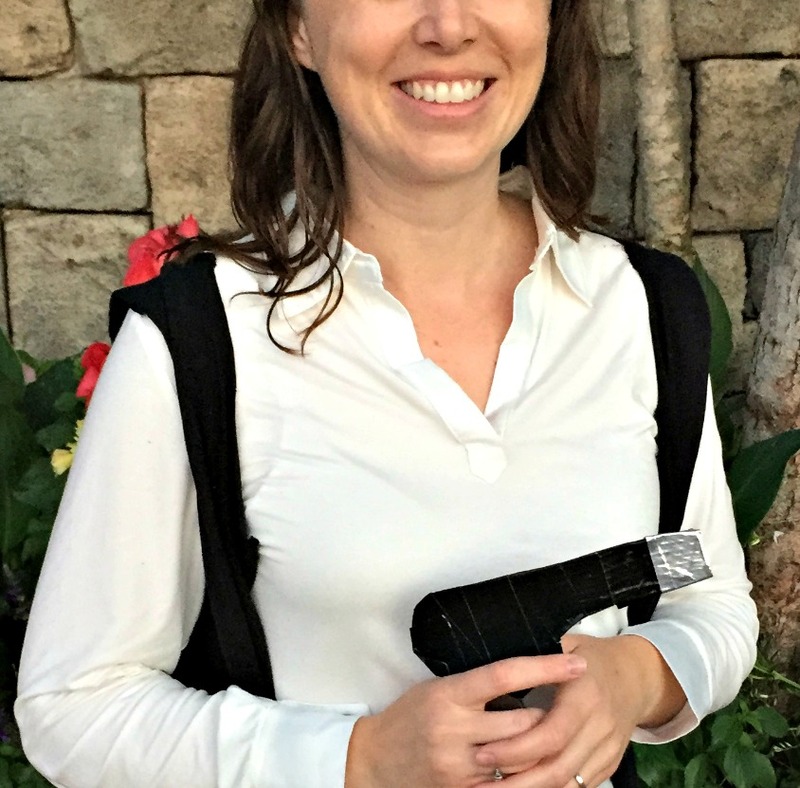 They pride themselves on saving families money and helping plan your perfect vacation. Check out their deals on Disneyland and Walt Disney World tickets & packages. My family has booked Disney vacations through Get Away Today since I was a kid, so I know it’s a well-established travel agency. Plus they are a Select Tour Operator with Disney Parks and is approved by the Better Business Bureau. 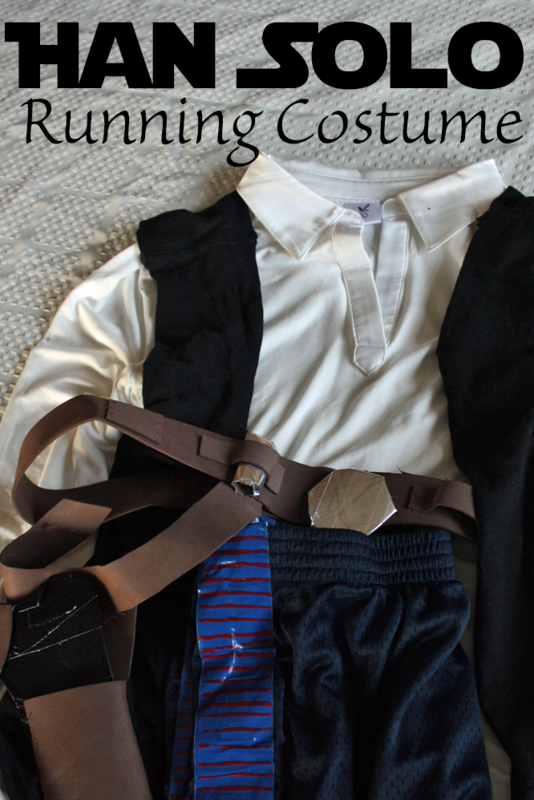 Run Disney events are the perfect excuse for making DIY costumes!